Made of durable and heavyweight plastic, our catering containers are perfect for outdoor events that need quick and easy cleanup, thanks to their disposability. 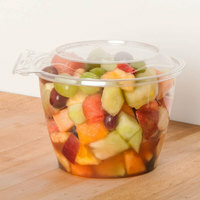 Some plastic bowls with lids are also made of clear plastic to increase visibility, reducing product confusion and increasing impulse sales. Choose from bowls in different shapes to suit the item you're serving and use a plastic bowl with a lid to keep contents from spilling out. Also make sure to check out other great items from Dart, Eco Products, Fineline, Polar Pak, Sabert and WNA Comet. 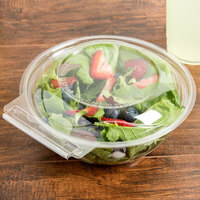 Our plastic take-out deli bowls and lids combine the convenience of a disposable plastic container with a streamlined design that looks great in display cases. 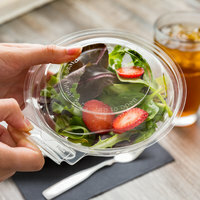 Customers will appreciate the convenience of eating their leftovers straight from these recyclable plastic bowls without having to transfer the food onto another plate, too! 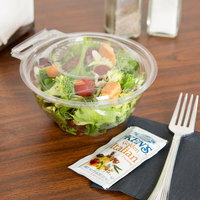 Choose from different sizes and shapes to suit what you're serving, and be sure to check out our microwavable take-out containers, round deli containers, and foil take-out containers for other catering options. If you're wondering where to buy polar pak catering and to go bowls, we have a large selection of polar pak catering and to go bowls for sale at the lowest prices.